Our client was one of about twenty-five seafood importers targeted by inspectors from the Los Angeles County Department of Weights and Measures, who were tipped off by a restaurant owner that the seafood it bought from China often weighed far less than labeled. Overview: Alhambra, incorrect weight on frozen squid, plea bargain reached for misdemeanor and one year summary probation wherein client paid investigative costs and fine to court. The most common product that was sold under its advertised weight was shrimp, but also oysters and cod. As our client related, when its Chinese provider sold the product, it weighed the product while glazed with ice for shipping. Consequently, when the ice melted, the remaining product (squid in this case) weighed less than advertised. 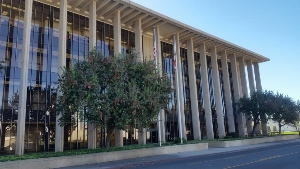 The City Attorney handling this case out of the Van Nuys courthouse told Greg Hill that based on the shortfall in weight of actual product, our client was the worst offender of all twenty-five importers cited. In other words, our client apparently used the most ice glaze to boost the weight of its product. Our client, working out of Alhambra, was charged with just two misdemeanor violations of California Business and Professions Code § 12024 (wrongful sale or distribution of a commodity with less quantity than is represented on labels) and § 12603 (improper packaging and labeling), although it could have been cited for dozens of violations of the same section, the City Attorney warned. All he wanted was to put our client on notice of the problem, have our client fix it, recover his investigation costs and have our client pay a statutory fine. Our client immediately fixed the labels once cited and changed their source of squid from whom they bought squid in China. There was quite a bit of grumbling about this, as this seller in China was the least expensive (for good reason!). The client then called us, concerned a criminal case would be filed, which was indeed already filed in the Van Nuys Superior Court. The Van Nuys courthouse was the venue because the “victim” was the business who initially complained about the low weight of the seafood. It was concerned about being anonymous, as it knew that if it complained too loudly, the suppliers would retaliate in time with higher prices and slower service. The commercial seafood industry was big, but it was dominated by a few large companies that could agree upon higher prices for one purchaser in particular. The prosecutor would not even tell Greg Hill who the complaining party was, preferring to just maintain the anonymity of the person. Greg Hill of Greg Hill & Associates appeared and, after two appearances in court over two months, negotiated a plea bargain. According to the plea bargain, the City Attorney dismissed the 12603 charge, but our client pled to a misdemeanor violation of the 12024 charge. Our client had to pay investigative costs of about $1,200 to the Los Angeles County Department of Weights and Measures and a $1,000 fine to the Los Angeles Superior Court (plus penalties and assessments). Because the client was the worst offender of all twenty-five importers cited, the City Attorney placed our client on summary probation for one year with a vow to conduct a random re-inspection to ensure labeling compliance.